Miles away from France, Puducherry or Pondicherry as it’s fondly called, is India’s own little French quarter. The bright sunflower coloured buildings give a bright and vibrant touch to the small town, which is also called Pondy by localites. French influence can be seen everywhere- be it the street names or food. It can also be seen in their everyday setting. For example, even the police wear the familiar French Kepi (flat topped hats). Most of the streets have retained their French names like Rue Romain Rolland, Dumus street, Rue De La Caserne, Suffren Street and more. Located at the Coramandel coast of India, most of the Colonial buildings date back to the 18th century. The town’s design is based on neat sectors and perpendicular streets, which is the typical French grid pattern. Divided into two sections: the French Quarter (Ville Blanche or ‘White town’) and the Indian quarter (Ville Noire or ‘Black Town’), it’s the perfect example of cultural blends – the French colonial heritage vs the Tamil culture. The Pondicherry Tourism slogan is just apt. It says “Give time a break”, which we all need to give. With so much to do, I have sampled out here seven incredible ways to discover the town. 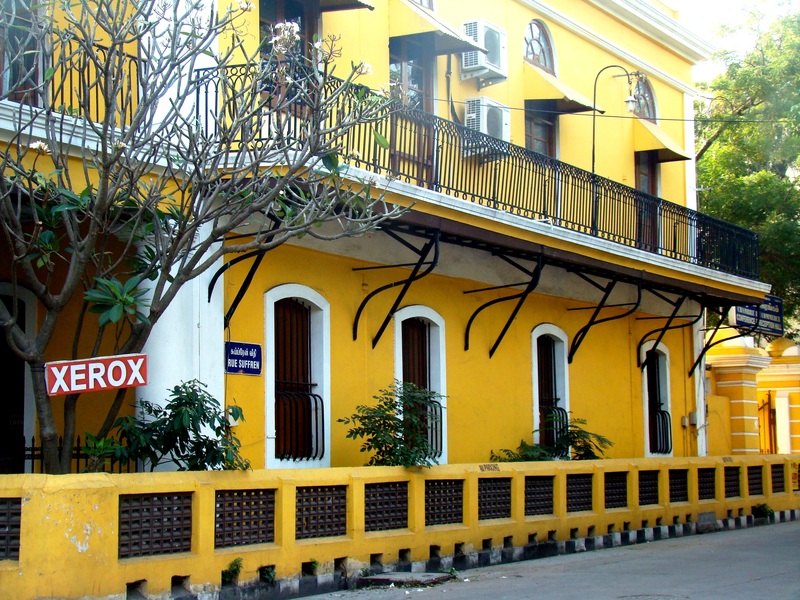 Every corner of Pondicherry sees French influence be its food, art or architecture. White Town as the French quarter is fondly known as has Mediterranean style houses as one walks down those lanes. 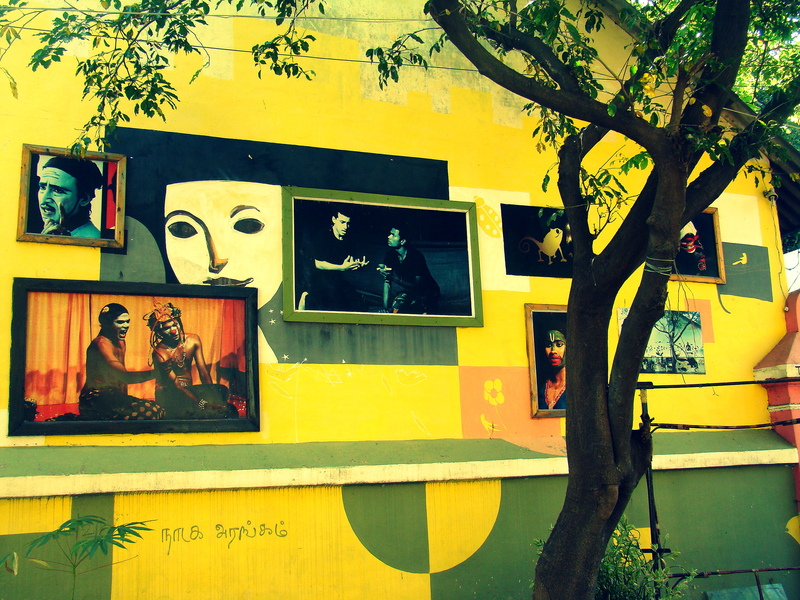 Mostly painted in bright yellow, they add character and vibrancy to the whole town. As you walk down the streets named Rue Romain Rolland, Suffren and Dumas, which might be difficult to remember, these beautifully designed French buildings speak volumes about the place. Few old heritage buildings have been turned into boutique hotels such as Le Pondicherry and Villa Helena. Chic boutiques and Parisian-style cafes are scattered across the town. Just when you feel tired seeing around, sit in any one of them for a hot cuppa to rejuvenate you. Those facing the sea like Le café, Light House are the ultimate options to sit and relax. As you explore the small little town, you will notice standing in solitude next to Notre Dame Des Agnes Church, the statue of French Saint Joan of Arc’s. Not many are aware about this fact. I personally believe that a city’s real charm can be explored either on foot, a local transport or best by pedaling around. As the place is less crowded, a short pedaling trip along the Dutch-styled grid layout town makes bicycle the best choice. As you pick your cycle early morning and pass the promenade road, it’s just a feeling that one can experience. Moving around the town, you get to see some small tea stall selling hot tea just at Rs 5. Along with your tea, don’t forget to try the local sponge cake (just for Rs 5). The taste is unbeatable. You can start from Alliance Francaise, which is very strategically located around the Promenade as you will see the town revealing its own little treasures to you. The mood of the city is generally laid back as you see “Happy” people all around taking a walk or just sitting by the sea and enjoying life. Sita Cultural Center, that is run by two French women run guided cycling tour as they will take you around Muslim quarter, Goubert Market, Kuruchikuppam (fishermen’s village) and not to miss the Beach Road. Most of the Bicycle hire shops are around MG Rd and Mission St. you can rent colourful bicycle for just Rs 50 to 70 per day. Promenade- the most prominent location in Pondicherry is a perfect seaside location for quite walk, but only in morning as by evening the place sees much tourist flocking the place. The Beach Road or Goubert Avenue as it’s known as is perfect to be explored by foot. As you walk pass the Promenade road, the dockyard and harbor to the right is bound to fascinate you. This harbor is not operational and even entry is prohibited. But, if you manage to sneak in, the waves hitting the pillars of the harbors and water splashing all around feels awesome. Right of the Harboris is the new light house. 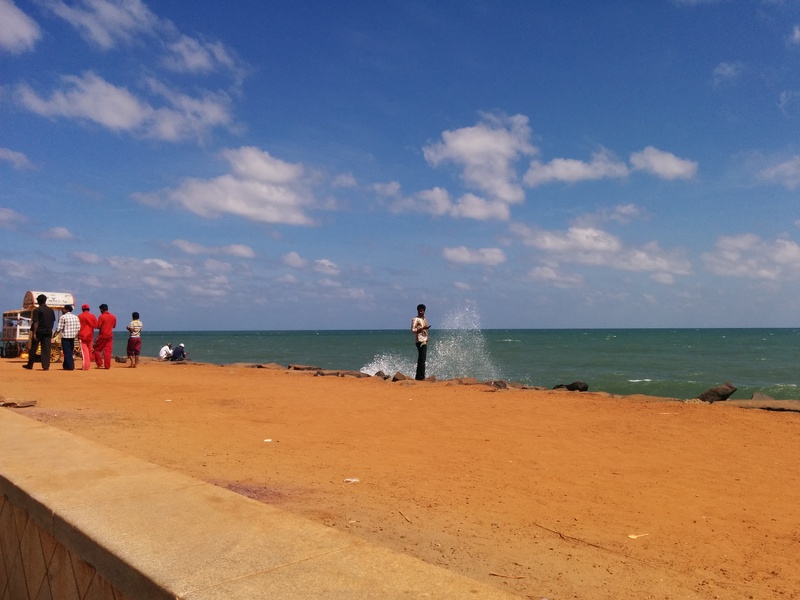 Standing at the harbour you get to see the most exhilarating view of Pondicherry. the adventourus one can walk over the pillars of the harbor that’s just above the sea. Be careful as pillars are slippery and It’s hard to maintain the balance against the constant as the waves keep hitting against the pillars. If you start to walk from the statue of French Governor Dupleix at the southern end of the promenade then you notice the statue of French Governor Dupleix. And as you amble down the road the tallest statue of Mahatma Gandhi stands. The antique pillars that surround the statue, are brought from the ancient seaport of Arikamedu (an archaeological site in Kakkayanthope). you can laze, sit chat along the the 1.5 km long stretch of rocky beach. It’s almost like the miniature version of Mumbai’s Marine Drive. Walking down the stretch as you feel the soft evening breeze brush passing you, watching the setting sun set over the Bay of Bengal you notice that the crowd keeps growing around you. Passing the Promenade you get to catch glimpse of the good old lighthouse. You are India’s mini France so it’s obvious that you get a taste of their palate too. As you celebrate the uniqueness of this place, eat bite shows how much the place has to offer. As simple as on a road-side tea stall you will get to have the best sip of a hot cuppa ever and add it with a local tea cake, everything gets sorted. If you are looking for local breakfast then head to the streets and you can get to see ample shops dishing our fresh idli, poori-subzi and upma. 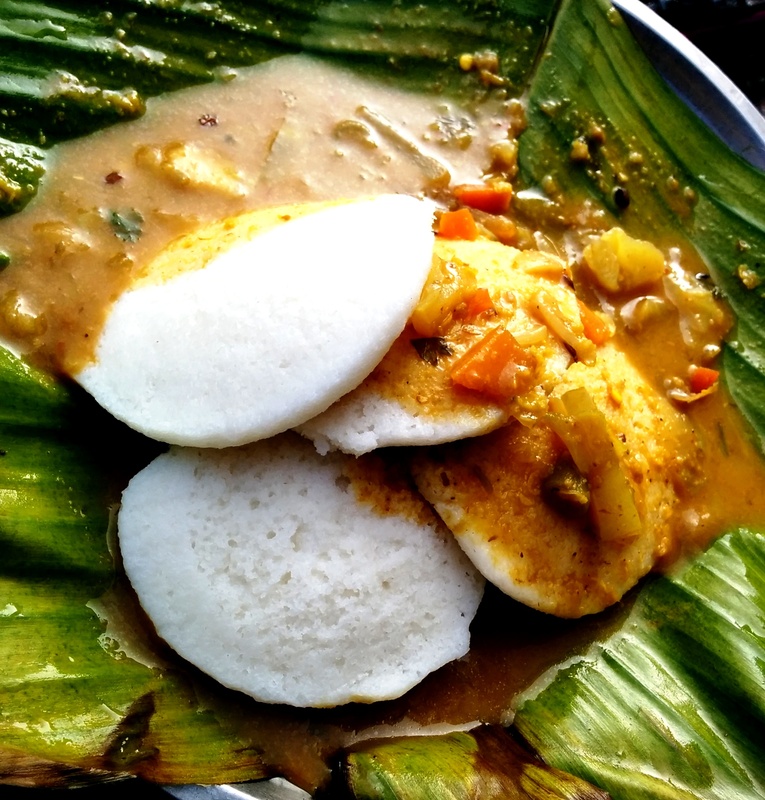 The idli’s are one the softest I have had. Topped with strongly curry leaves flavoured sambhar– the pleasure of eating this simple dish just gets doubled. Do try the pooris too, as the mildly flavoured aloo subzi with some heeng just adds the right punch for a morning breakfast. You wont repent coming all the way for this. 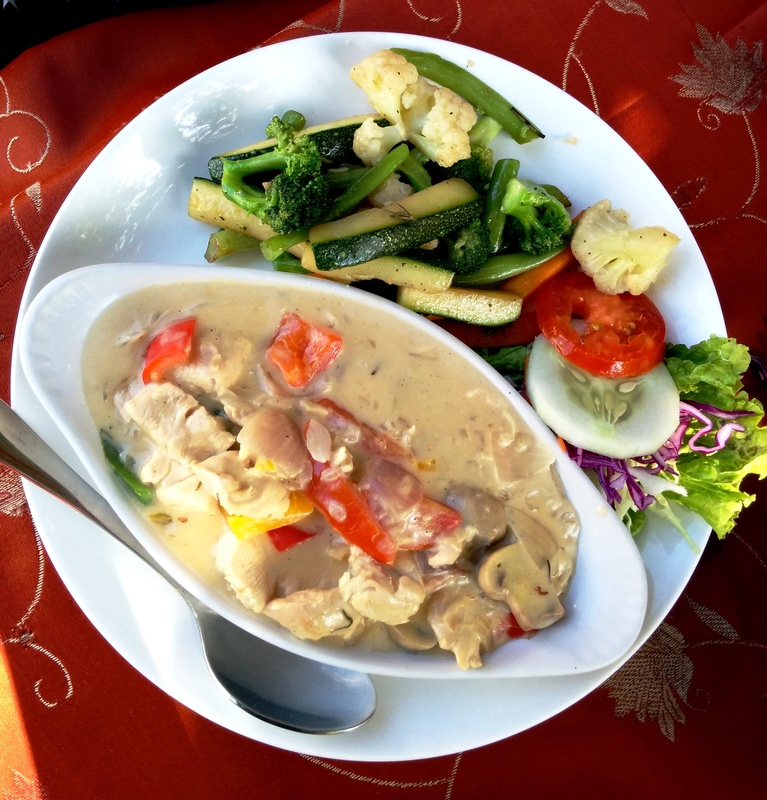 While those who wanna hog on some fresh fruits, pancake, bread toast, or a buttery, flaky croissant then head to one of the these places like Hotel Orient, Villa Shanti, Cafe Ole, Hotel Dupleix Restaurant or Café des Arts. There is no dearth of such places. They offer the best and yet reasonable. You get to try some great variety of freashly-baked breads both sweet along with good variety of in house cakes. While Le Cafe takes the cake because of it’s location- right on the beach you can grab a sea facing table. You can try some wide array of coffees available here. Good food will just keep flowing here and don’t miss the Franco-Tamil cuisine at Maison Perumal, an old Chettiar mansion that has been restored. Here Tamil cuisine gives equal competition to the French food. Few of the well-known top Watering holes in the city are L’espace, Rendezvous, Satsanga, Le Club and more. 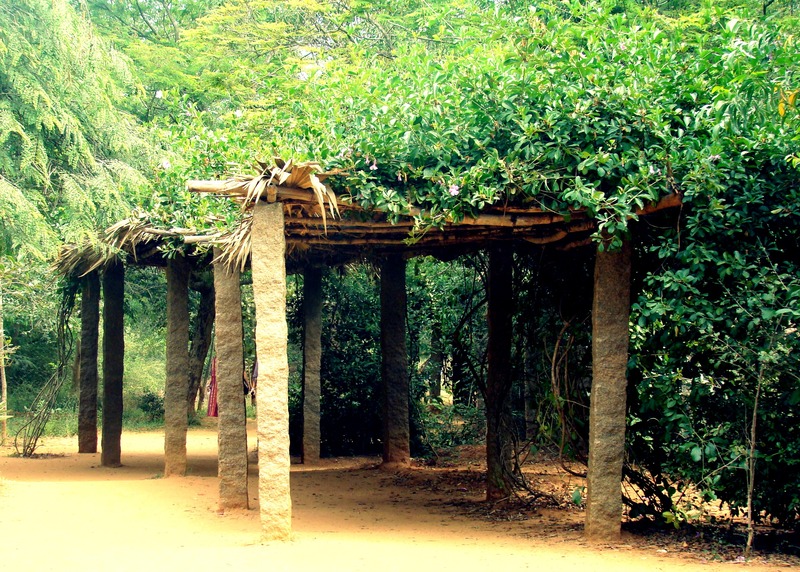 Auroville is not just an ashram, rather it’s an experience in itself. Be it for spiritual reasons or not this place never ever fails to enchant you. The moment you you step in the ashram, you see the happy faces all around you, chatting sipping their coffee, while some in their own little world of meditation. 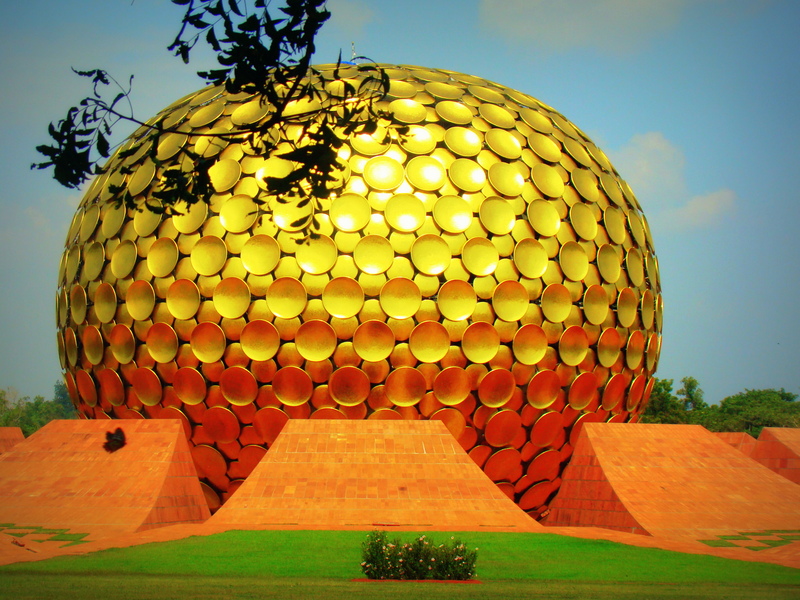 The ‘universal city’ of Auroville found in 1968 is the most famous landmark, a golden meditation dome called Matri Mandir. For those who want to dig in a bit more the Ashram Centre at Rue de la Marine is house to the tomb of the philosopher Sri Aurobindo and his living quarters. Auroville sees visitors staying there for months together who are happily engaged in doing sewa (community service) as you see their kitchen run by volunteers. A lot of them also pick up some art like indigo-dyed clothing (The Colours of Nature) or incense manufacture (Encens d’Auroville) or even making handmade paper (Auroville Papers). You get to see volunteers exploring their creative sidesas they are busy discovering and developing new techniques. Their hand-marbled sheets see the influence of ancient Japanese art of Suminagashi (paper marbeling). If you are lucky, enough then you also get a chance to see how the recycled cotton can be used in leading edge style. 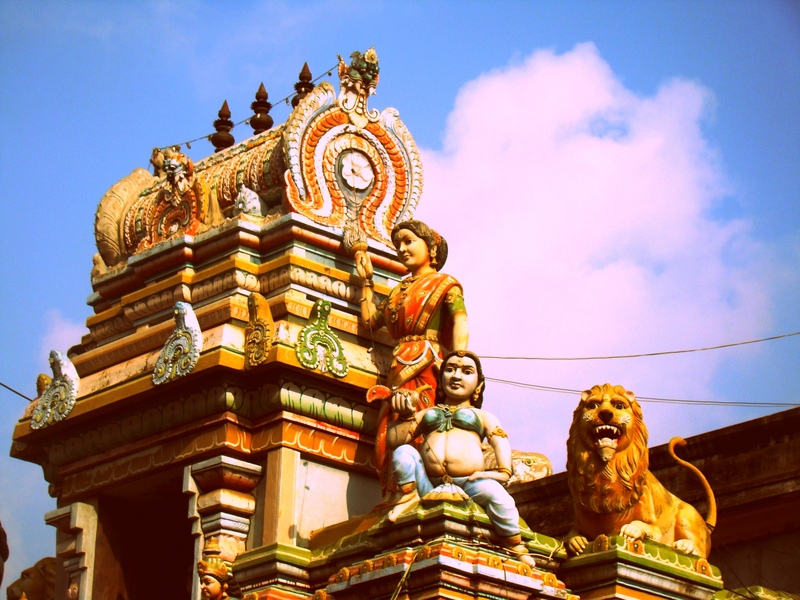 The spiritual high doesn’t end here, as you visit the Hindu temple of Manakula Vinayagar. The temple sees 40 different forms of Lord Ganesha. The 400-year old temple is famous amongst tourist as people drop in to get blessing from the temple elephant. 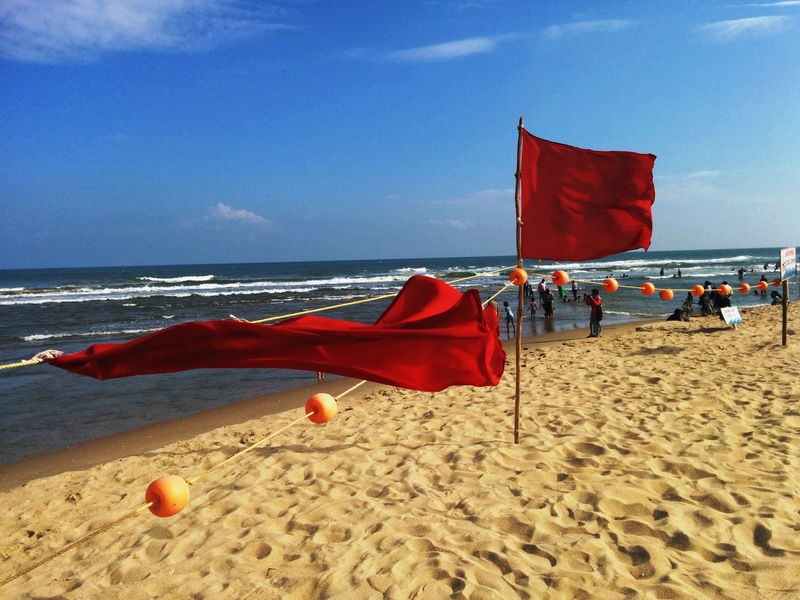 You are a beach junkie then head to any of the four beaches: Serenity Beach, Auroville Beach and Paradise Beach. The Serenity Beach, Auroville Beach are almost close to each other and gives you much needed beauty to take a dip and get playful. The clean and a tranquil beach is also great for surfing. A bit ahead lies the Auroville Beach – Calm,clean and beautiful. This beach gives you a great view of the Indian Ocean. And if you have been playful enough to get drenched then no worries, there are huts right on the beach to change and freshen up at a nominal price of Rs 50. 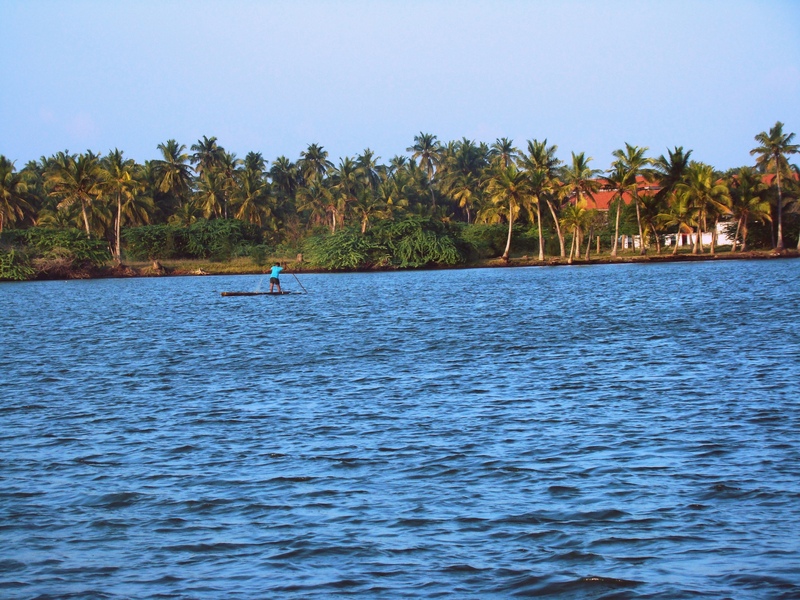 Enjoy the serene backwaters as you take the leisurely boat ride from Chunnambar and head to Paradise Beach. This place also happens to be a good picnic spot too. A small shack there is seen selling some quick fix food item and yes some chilled BEER too. The sound of roaring sea will simply enchant you. 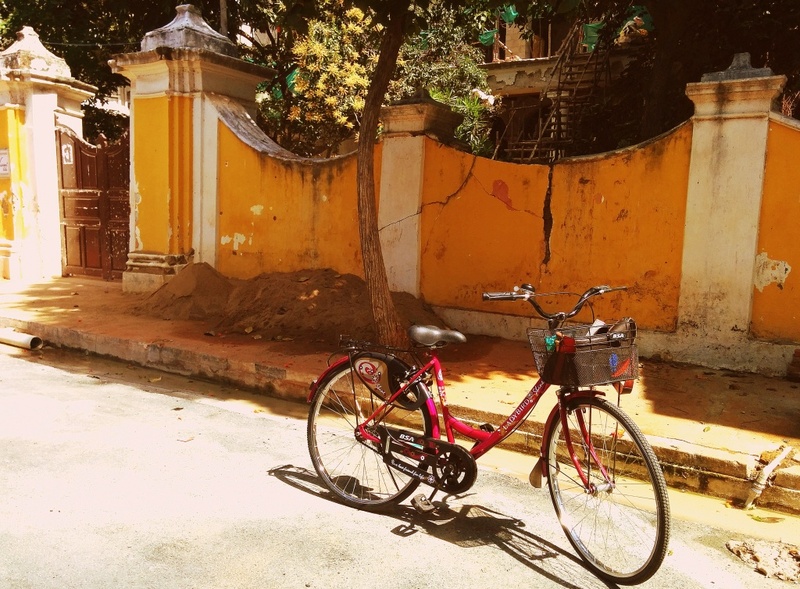 If all you want is a quite time with your self then nothing better than Pondicherry.The clean streets, quiet beaches, peaceful resorts makes this mini France much worth a visit. Amazingly written. And do I even need to say…fabulous pictures! great information and pictures inspires me to visit it soon. Indeed India is INCREDIBLE.. and a lot to see around.. Such vivid narration took me straight to the Coromandel coast. Wish to have a sojourn to the same place with you soon. Love the snapshots too. 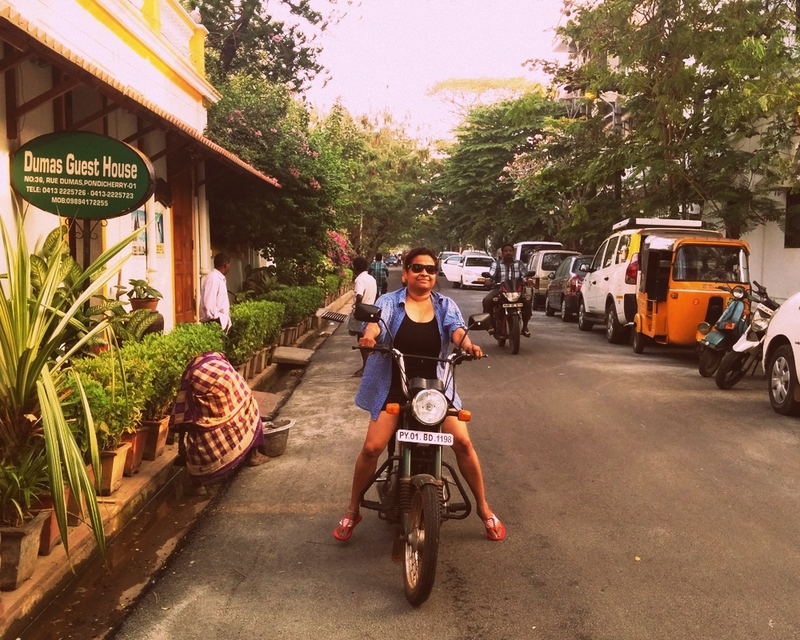 As always very well written, since I have read this piece of your heart I can’t wait to visit Pondicherry! It indeed is an awesome place.. Loved the energy and the aura of the place. 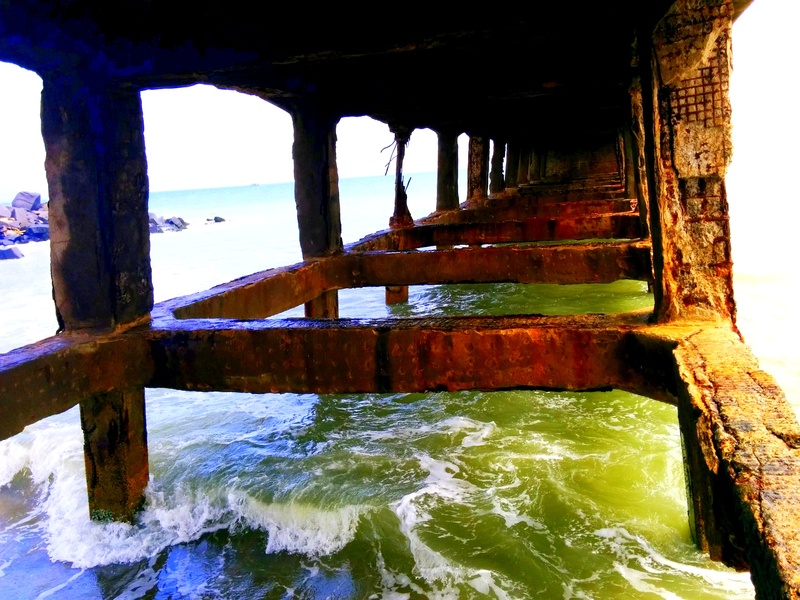 The place just keeps growing on you..
Hey Buddy!, I found this information for you: "7 Ways to Enjoy Puducherry". 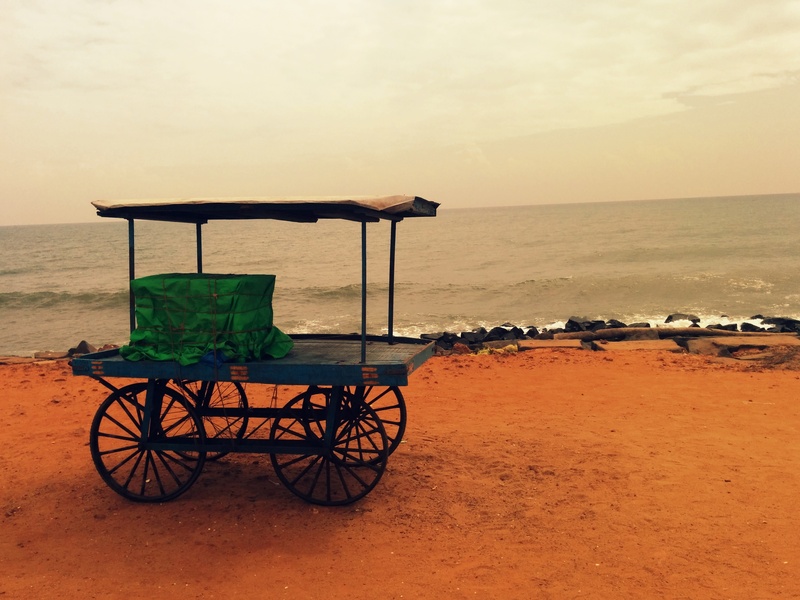 Here is the website link: http://www.wanderlustcraving.com/2015/02/26/7-ways-to-enjoy-puducherry/. Thank you.